You can’t help but get excited about a new career in the beauty industry before you even walk through the doors of our Greenville campus! 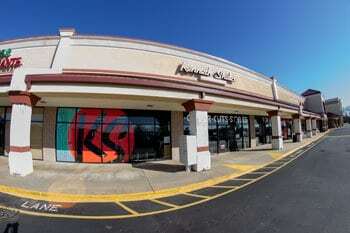 Located in the city famous for its art scene and the Blue Ridge Mountains, Kenneth Shuler School of Cosmetology in Greenville, South Carolina prepares students with the best beauty education focusing on modern color techniques, Redken and American Crew cutting systems, state board preparation, and ProsperU's career success training. 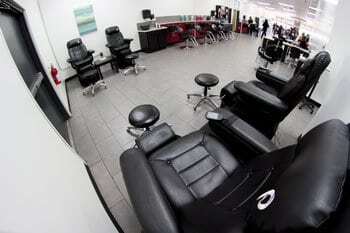 In addition, we provide a student-salon that allows our Greenville students to get real-world experience and put into practice the things they've learned in the classroom. Our instructors are dedicated to the success of our students and will work with you throughout your training to ensure you're fully prepared to enter the world of beauty and have a successful career in cosmetology. If you want the best in beauty education and real-world training, look no further than Kenneth Shuler School of Cosmetology Greenville. In this beginner level of the cosmetology program, you will get a taste of all aspects of the beauty industry including hair, skin and nails. In addition to hands-on practice, you will also spend time in the classroom learning theory. Instructors will also give you an intro to life skills and ProsperU business development. 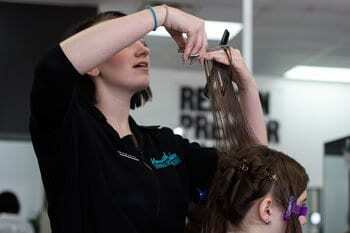 Design level is where we concentrate on teaching you all aspects of cutting and coloring. During this portion of our cosmetology program, your time will be divided between the classroom and our student salon, putting into action what you will have learned up to this point. Your ProsperU training continues with a focus on "The Key Drivers to Success." 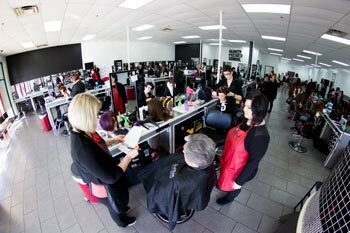 Along with continuing your theory and classroom training, you will spend the majority of your time during Style Level honing your technical skills in our student salon. You will also continue your career success training using our ProsperU model. 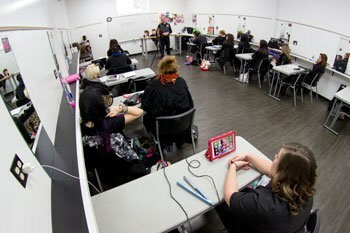 You will continue mastering your cosmetology skills in addition to focusing on career readiness. 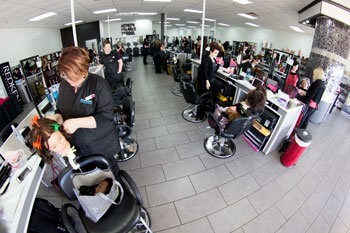 We will assist you with every aspect of job planning including resume writing, portfolio building and salon training. We will also prep you for your state board examination.